Spirituality - General Practice: The Integrative Approach Series. 'Spirituality' means different things to different individuals and there is no one way of exploring or expressing it. The search for meaning is ubiquitous to humankind, and being able to make meaning of life, and especially adversity, can have an enormously protective effect on people’s mental health when coping with major life events. Most commonly, people take spirituality and religion to be synonymous, but there are many other ways, aside from religious practice, of exploring and expressing spirituality—through philosophical enquiry, the pursuit of science, creativity, relationships, environmentalism, altruism and social justice, to name a few. Spirituality, in the broad sense described above, is relevant to healthcare because it has a direct impact on a range of health determinants, mental health, lifestyle choices, relationships and coping. 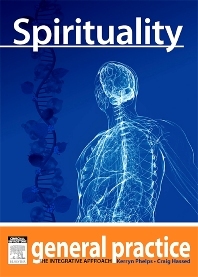 This chapter explores the relationships between spirituality, meaning and health.